Suhit Anantula, Wednesday, 23rd March 2016 - The City of Adelaide showed incredible foresight and leadership last year when it tendered for a social enterprise incubator in Adelaide – a free program to help startups to develop and implement new business models, writes business strategist Suhit Anantula. 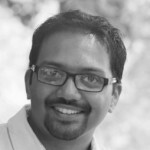 Suhit Anantula, Tuesday, 23rd June 2015 - Strategy and innovation is not just for the organisations that create new products and services focused on social change. It is for the philanthropist too writes social change strategist, Suhit Anantula.